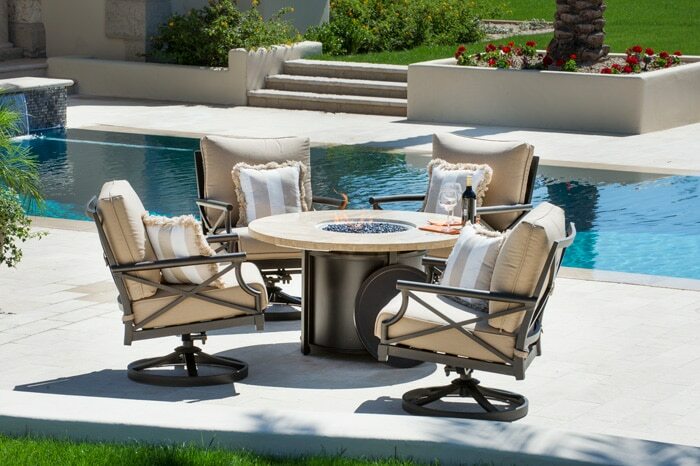 In the Chicago Evening Post, Coyote Outdoor brand ambassador Kerrie Kelly offers 10 key points to consider when designing an outdoor space. 1. Form and Function. Who will be enjoying the outdoor space? Kids? The chef? Guests? And what type of events will be in the space – big parties? Weeknight dinners? End-of-season team celebrations? Consider lighting and landscaping, plantings that will enhance these activities. 2. Lay the foundation. Regardless of the size of your space, use every inch to maximize the area. You can use the same principles as you do indoors. Visually, start with a large area rug to anchor the space. There are lots of furniture options, from a simple bistro set to an island with storage, barstools, etc. You can add a fountain or water feature, fireplace, fire pit, grill, seating and more. Create zones for cooking, dining and relaxing. 3. Look up! Think of the ceiling and floor as the fifth and sixth walls. A pergola or awning, like those from ShadeTree Canopies, can provide protection from sun or rain, add some architecture to the space, and be rolled back for stargazing. 5. Think of your space as if you’re inside. Incorporate sofas, side tables, chairs, ottomans, even outdoor lamps. If you extend the color scheme from indoors, it expands the visual and makes your space seem larger. Create multiple areas to eat and drink. 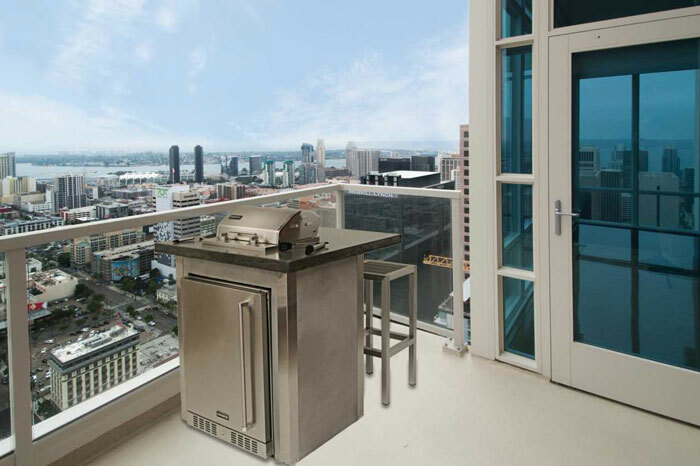 Kelly has a license with Coyote Outdoor Living for three furniture collections — Laguna, Catalina and South Beach —that go with Coyote Outdoor Living’s stainless-still grills and other outdoor kitchen appliances. 7. Remember, you’ll get hungry! 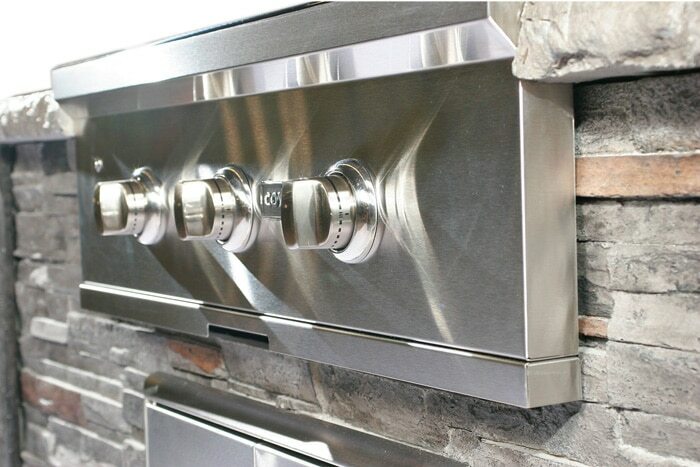 Stock an outdoor entertainment center with beverages and remember the appropriate cooking equipment. 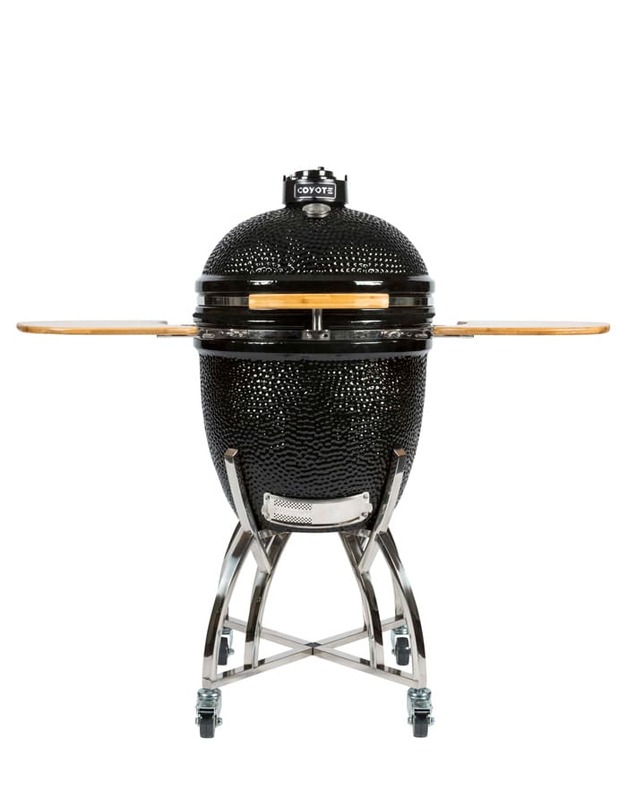 Today, this can go beyond the grill — which can be gas or charcoal — and include an Asado smoker, pizza oven, a refrigerator or ice maker. Make sure these are high-performance models and appropriate for the outdoors. You can build storage into islands. This rounds out the entertaining experience and elevates the “wow” factor! 8. Accessorize! Potted plants, mirrors, pillows, lanterns and artwork all let your personality come through. Outdoor rugs, like my collection with Feizy, are now made of materials like 100% PET [polyethylene terephthalate], made from recycled plastic water bottles, so they’re also sustainable and easy-maintenance as they can be hosed off. 9. Light the night. This is the key to enjoying your space after dark, for ambience as well as safety. Have task lights for cooking, light pathways, suspend pendants over a bar area, and incorporate dimmable lighting in an eating area. Be wary of solar-powered lights, however. They can look very fluorescent, defeating the purpose of intimate mood lighting. 10. Set the mood. Audio and video technology creates the mood, whether it’s music for a dinner party or team pride on game day. Be sure your space caters to all ages of the family! 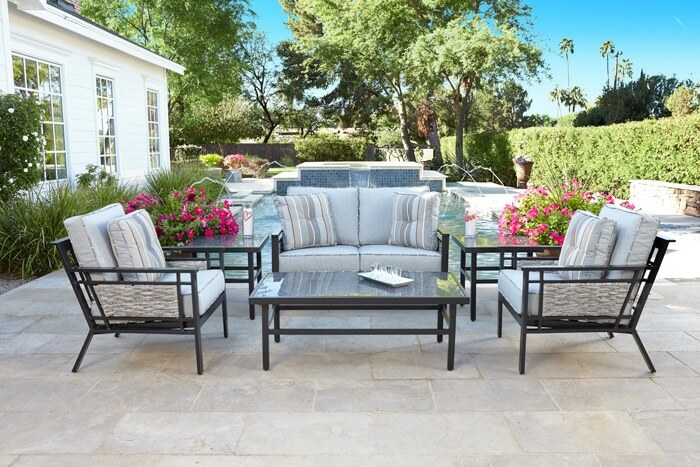 Whether you have an urban patio space or a sprawling suburban backyard, these tips from Kerrie Kelly will help you create your own outdoor oasis. Click Here for more images and video.